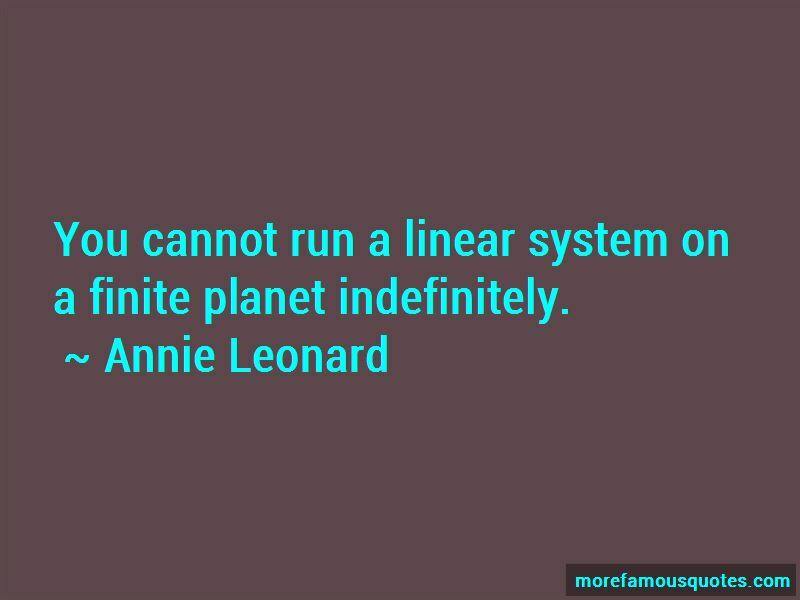 Enjoy the top 24 famous quotes, sayings and quotations by Annie Leonard. The assumptions that "pollution is the price of progress" or that "we must choose between jobs and the environment" have long limited our creative thinking about innovative solutions that can be good for the environment, the workers, and a healthy economy. Put simply, if we do not redirect our extraction and production systems and change the way we distribute, consume, and dispose of our stuff-what I sometimes call the take-make-waste model-the economy as it is will kill the planet. 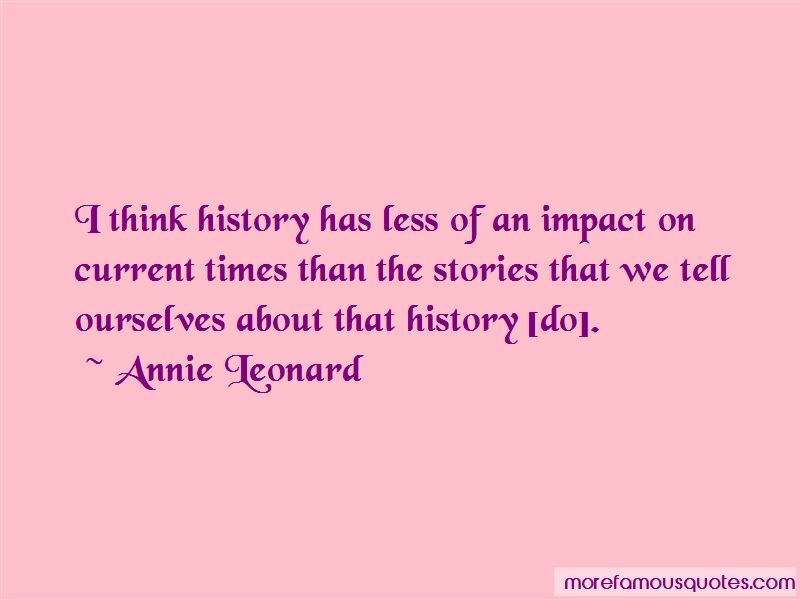 Just recognizing and naming that many of the things we treat as historical fact are stories can help erode their power over our sense of identity and thinking. If they are stories rather than "truth," we can write new stories that better represent the country we aspire to be. Our new stories can be about diverse people working together to overcome challenges and make life better for all, about figuring out how to live sustainably on this one planet we share, and on deep respect for cooperation, fairness, and equity instead of promoting hyper-competitive individualism. Turns out, people's brains are not nearly as powerful a motivator as our hearts. Facts, data, and economic models don't move people to courageous action the way that powerful stories can. 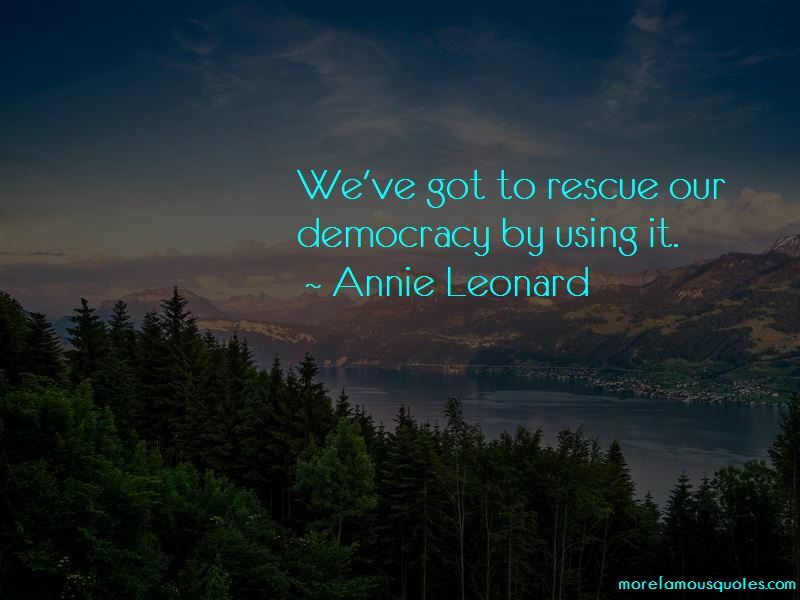 Want to see more pictures of Annie Leonard quotes? 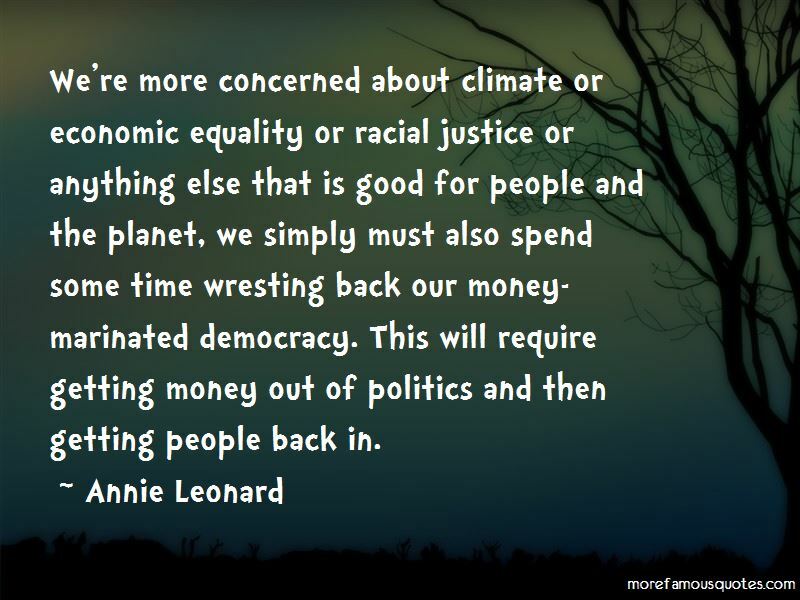 Click on image of Annie Leonard quotes to view full size.